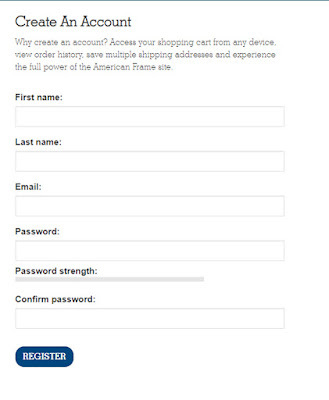 If you don’t yet have an American®Frame account on our website, you’re missing out. Creating an account is fast and easy and comes with a variety of benefits. 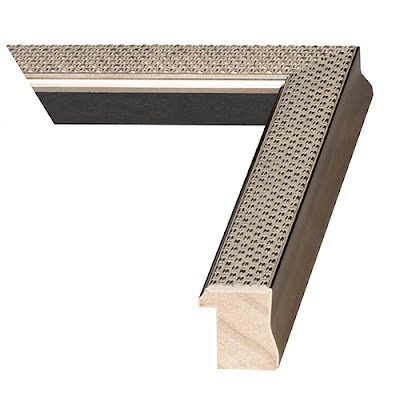 Do you tend to order the same kinds of frames or framing tools? Logging into your account lets you easily access past orders and reorder your favorite items. 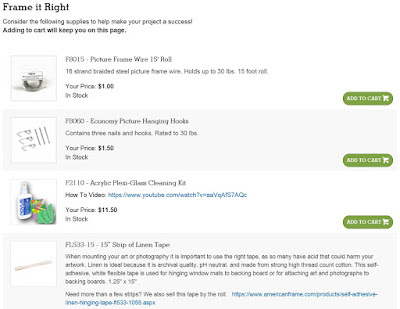 No more searching for a frame by a keyword or entering an item number. Your favorite frames are at your fingertips. If you regularly ship to a gallery, workspace, or a few regular customers, logging in makes that easier as well. 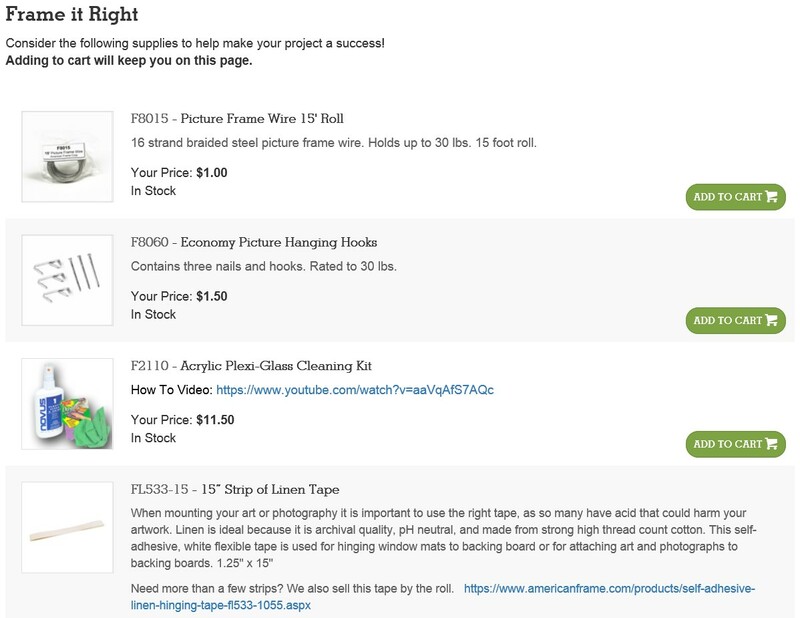 You can save multiple shipping addresses so you can send them your printed and framed pieces in just a few clicks, without re-entering the information. 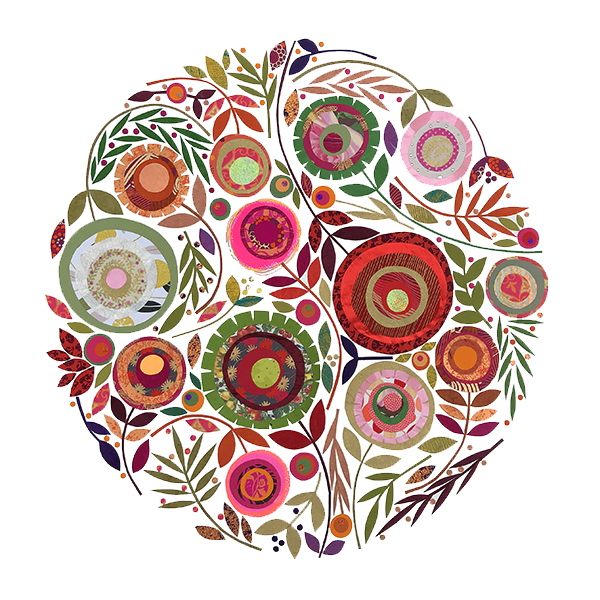 Creating an account makes printing and framing your art or photography easier, too. It lets you add your own private library to store images so you can print them with a few clicks. Set your gallery to public, and make commission on sales of your work , or keep it visible to only you, so you can keep your newest project under wraps until you’re ready to reveal it. What are you waiting for? Create your American Frame account now. 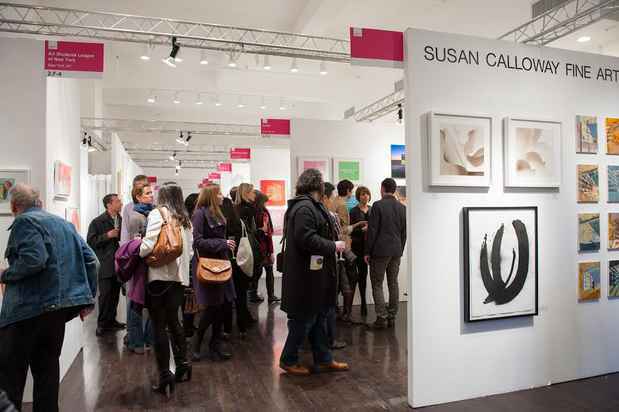 At American®Frame, we love art fairs. They’re a great place to see a diverse collection of art, chat with artists, and find a few favorites to take home, all at prices that won’t put a strain on your wallet. That’s why we’re excited to announce our first year as an official framing partner of the Affordable Art Fair Spring 2019 Show. Scheduled for March 28th to 31st in New York City, the Affordable Art Fair showcases a carefully curated collection of the best original contemporary work from hundreds of artists across the globe, all in one place. 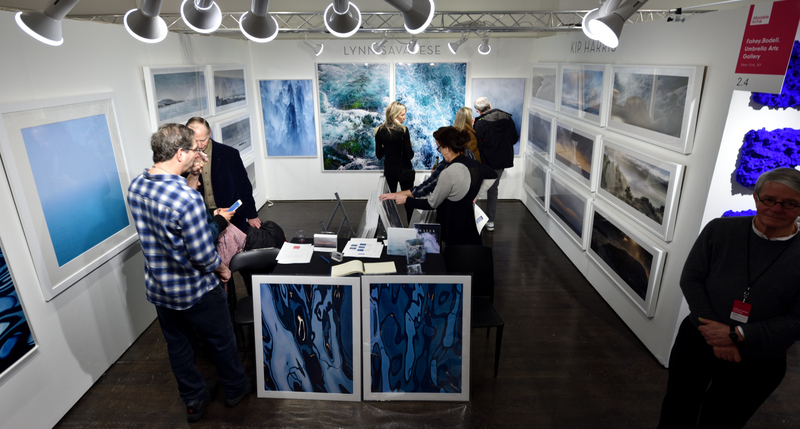 It draws up to 15,000 visitors and offers art priced between $100 to $10,000, so attendees can find the perfect piece for their budget. Taking place twice a year in March and September, Affordable Art Fairs happen all over the world and boast a friendly and relaxed atmosphere filled with hands-on-workshops, kids’ activities and personal shopping experiences. You’ll also find thousands of hand-picked original paintings, sculptures, editioned prints, and more. And at a wide range of prices, there’s something to fit every taste and budget. This year’s fair includes an exhibition by breakout NYC-based artist Mónica Hernández, who will showcase her oil-on-canvas works centered on the female form. Guests can also enjoy a snack in the immersive Pigeon Café, featuring an installation of lifelike pigeon sculptures and quirky, limited-edition paintings featuring food and animals. Budget-conscious collectors will want to visit the Under $500 Wall for a collection of creative works all under $500. March 28th from 6 PM to 9 PM, the Affordable Art Fair will host a multi-sensory performance by Philadelphia-based painter and musician, Vessna Scheff and her collaborators. 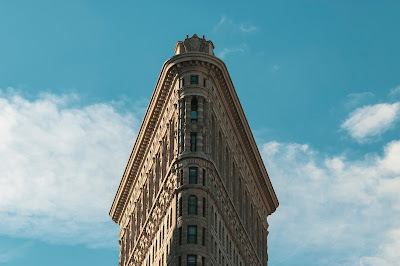 If you’re planning to be in Manhattan that weekend, be sure to stop at the Metropolitan Pavillion in Chelsea for the art fair. At the fair, you’ll receive a discount code good for 20% off your next American Frame purchase. Want to make the most of your visit? 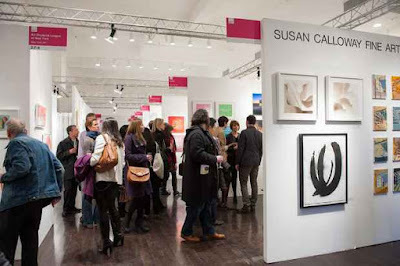 Read this Affordable Art Fair blog post packed with helpful tips for visitors before you go. 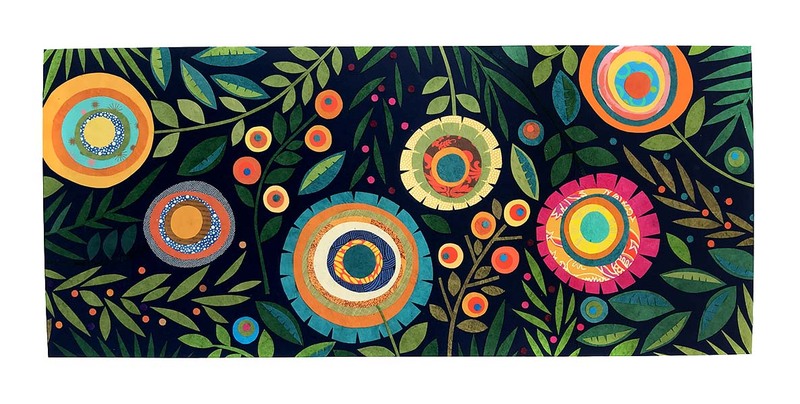 We hope you enjoy the art fair, find some treasures there, and then save on the perfect companion frame and accessories for your new art when you return home. Affordable Art Fair General Admission tickets can be purchased here. 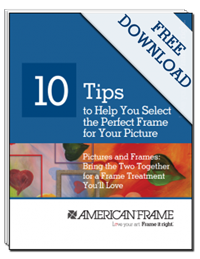 Enter the code 10GAAmericanFrame to save 10%. Multiple ticket options are available here. Have framing questions? Contact us. Once, Steven Wipfli gave art assignments to his students. Now, he gives them to himself. Wipfli retired from Ottawa Hills Junior-Senior High School near Toledo in 2015. While there, he taught Art, Digital Photography, Graphic Design and AP Studio Art. 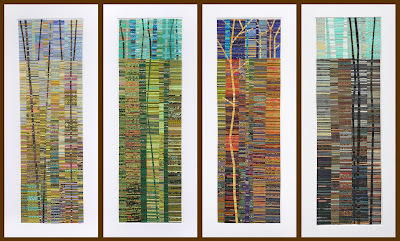 After retiring, he devoted himself to his mixed media art full-time. 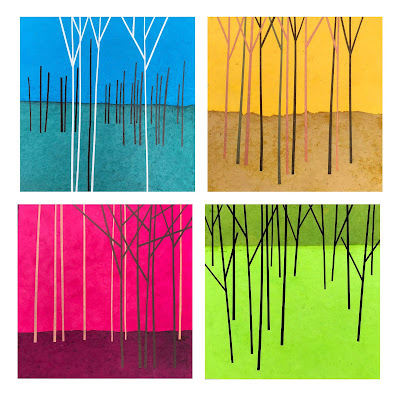 He said he uses the same visual problem-solving skills he developed as a teacher in his art, which incorporate a variety of colors and textures in their depiction of landscapes and other natural elements. 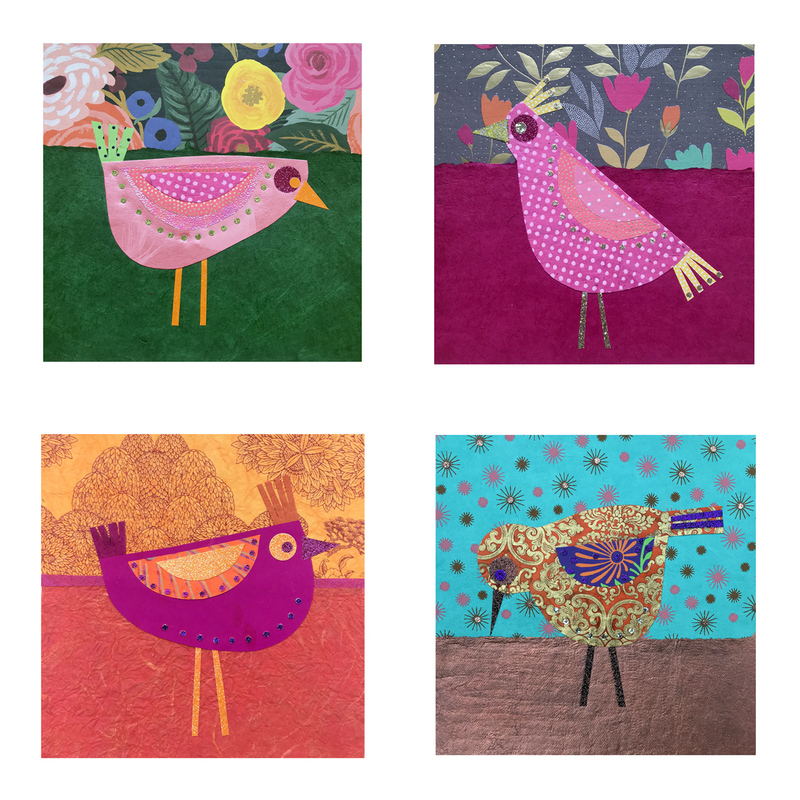 Wipfli was inspired to try his hand at that kind of art after visiting a quilting exhibit, then visiting an international paper store in New York City. Soon after that, he was collecting different kinds of paper and weaving them into his art like fabrics. These days, he frequents an exotic paper store in Ann Arbor, Michigan and is constantly on the hunt for paper that inspires him. His focus on landscapes and other natural elements comes from his fascination with the shapes and repetition found in nature, he said. In his work, Wipfli said, he tries to interpret those shapes in his own abstract style, weaving in his love of colors and textures. “I hope that my viewers enjoy the play of color, shape and repetition in my work, organized through a tight, geometric, modernist sensibility, and the colors, textures and patterns of found papers,” he said. 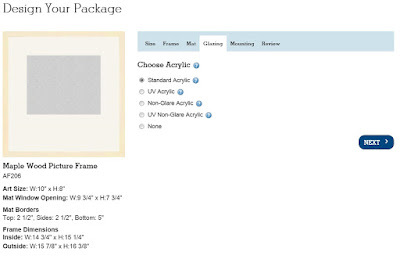 Wipfli said he’s ordered thousands of frames and framing supplies from American®Frame over the years, and favors neutral metal frames, usually in black. His biggest tip to other American Frame customers, he said is to measure their art “twice, even three times” before ordering their frame to be sure it fits. When he’s not creating art or searching for the perfect paper, Wipfli spends his time volunteering, visiting museums, and cooking. Next, he said, he wants to keep giving himself more challenging artistic “homework,” including focusing on larger and larger pieces, and more time hunting down interesting paper. When you think of picture frames, you probably imagine them hanging on a wall. But there are also a number of other creative ways to display framed art. Here’s one we love, our Easel Mate stands. With a twist of a screwdriver, these handy stands turn your metal or wood frame into an attractive tabletop display. 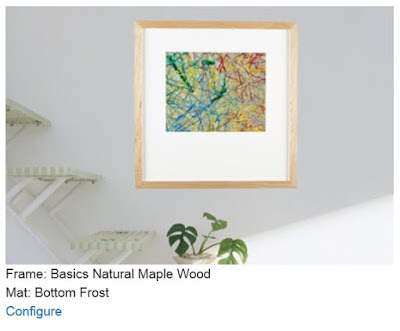 Its easel base lets it stand up tall on a tabletop, bookshelf, or other flat surface, making it a perfect way to stand out in a gallery show, showcase a favorite piece at an art fair, or add an unexpected element to any work. It’s also a smart solution for non-standard sized frames and can be adjusted to any angle. 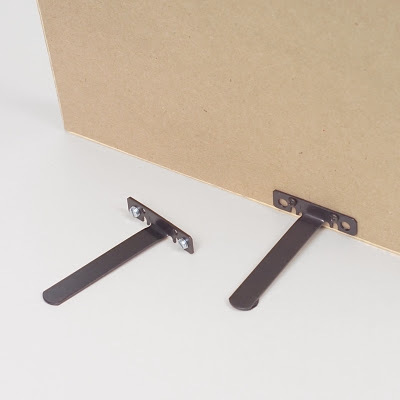 Each package contains two Easel mates and the hardware needed to install them. To see easy set-up instructions, watch this video. Have questions? Our framing experts have the answers. Contact us. American®Frame just launched Curators’ Choice™, our fresh assortment of professionally pre-designed custom frame kits. Using archival materials, our team created museum-quality custom treatments featuring eye-catching color combinations, textures and proportions so you can easily prepare for a show, fulfill an order, or frame the pieces that have been collecting dust in your closet for years. 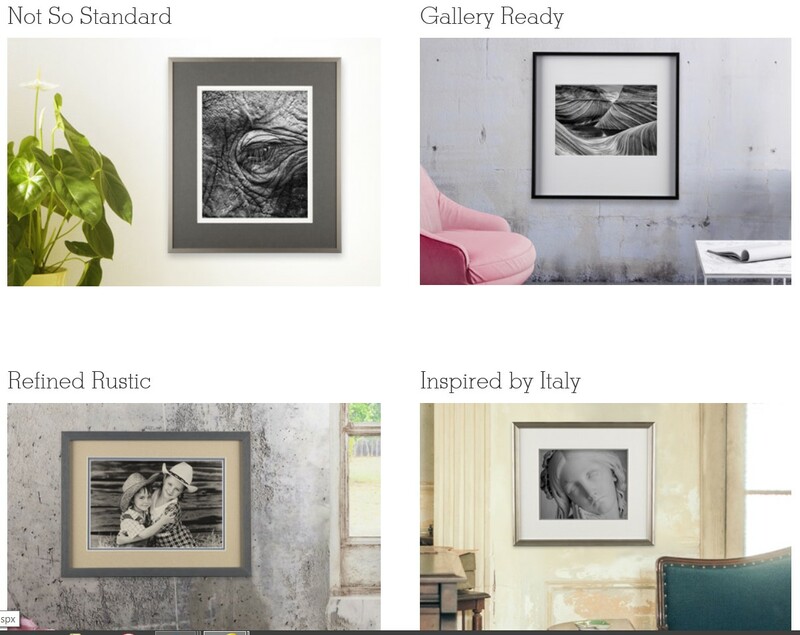 Framing with Curators’ Choice™ is easy. First, browse through our curated style categories. This will take you to our Design Your Package workflow where you can customize your frame treatment. First, enter your art size. After you click “next,” you’ll have the option to change the frame, mat, or mat borders as desired, or keep the predesigned kit. You can also select the glazing and mounting materials you would like. All Curators’ Choice™ kits include standard acrylic glazing, but we do offer UV resistant and Non Glare options as well. The kits also feature acid-free mounting board, but this option is customizable as well. 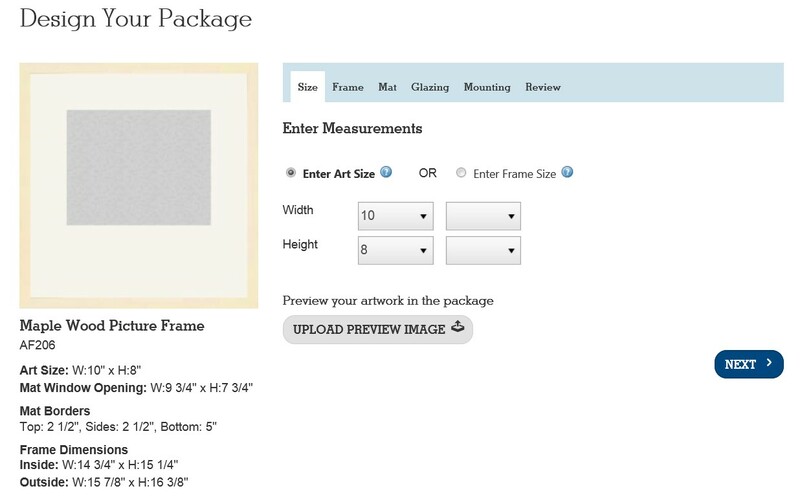 Below the package review, there will also be suggestions for additional items to help you frame your artwork, such as hanging wire and linen tape. 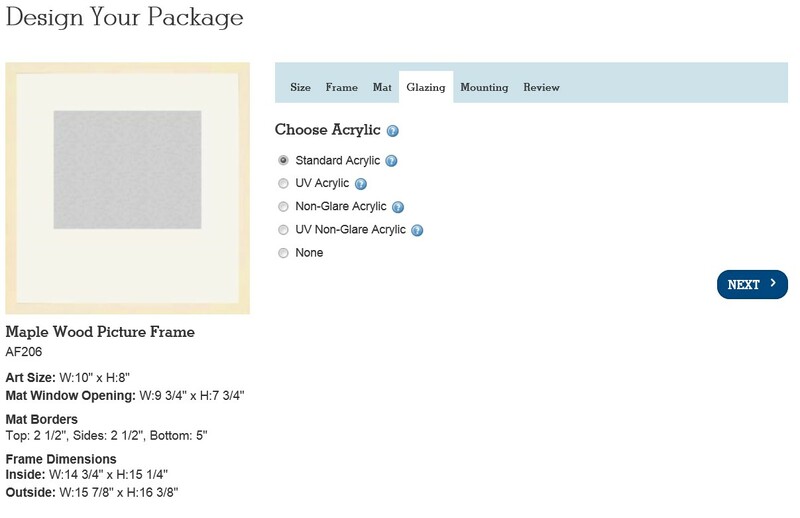 The hardware necessary to secure your artwork into your DIY frame kit is automatically provided with your order. Have questions? Our framing experts are ready to answer them. Contact us. City streets are like outdoor museums, displaying giant, inhabitable works of art, constructed from intricately designed wood and steel. 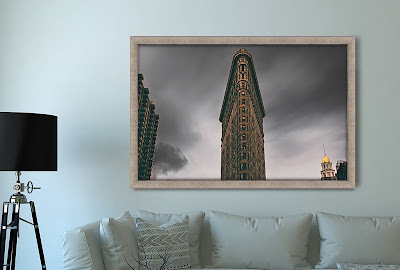 Now you can bring those architectural elements inside, to complement your artwork or photography. This Steel Wood Picture Frame from our Econo-Wood Collection blends the stylish strength of steel with the natural warmth of wood and subtle gold undertones for a timeless, yet urban feel that mimics breathtaking skyscrapers like New York’s famous Flatiron Building. 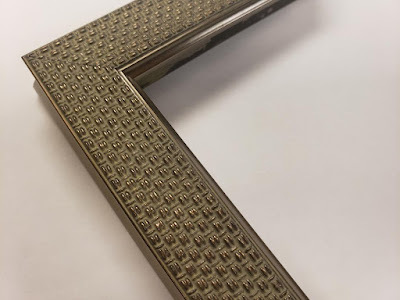 The frame features a gently curving side and a unique basket-weave-inspired face for a dramatic touch of texture. With a multifaceted finish and sleek profile, this economical frame packs a stylish punch. 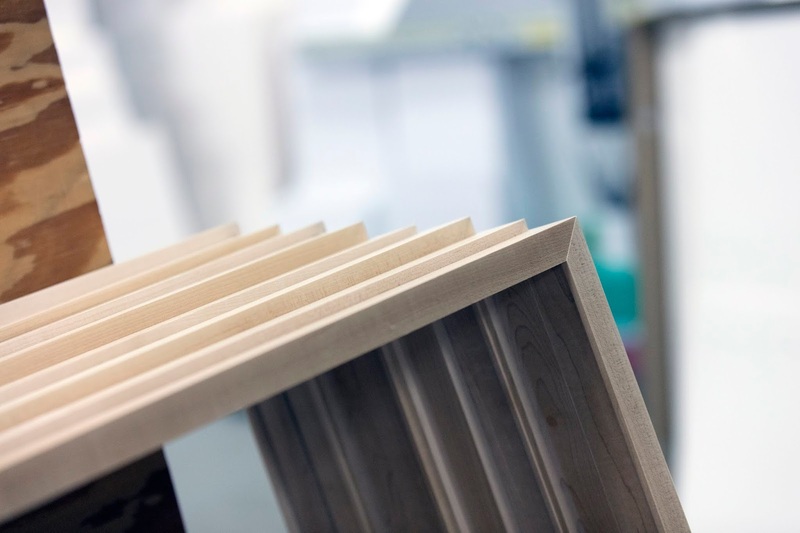 Wood frames are shipped joined, and include spring clips to secure your art stack. Alternatively, a point driver can also be used. Need help picking the perfect frame for your piece? 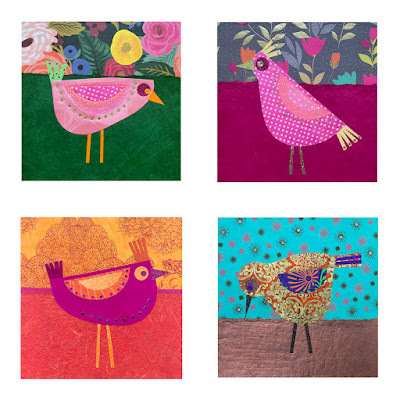 Use our free Art Assistant™ feature for an expert design consultation. Dust covers are an easy, effective way to protect your framed artwork or photography in a wood frame. 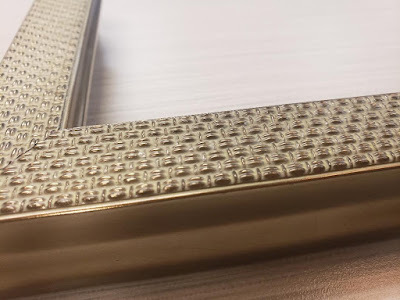 But without the right tools, trimming them can leave jagged edges or excess paper, compromising the look of your piece. Luckily, American®Frame has the perfect solution: Our dust cover trimmer makes easy work of trimming your dust cover to size, resulting in a polished, professional finish that keeps dust and other damaging particles out. The trimmer features a guide that glides along the edge of the frame, ensuring a perfect cut every time. 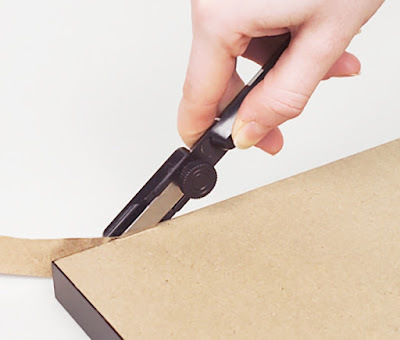 Simply attach the paper to the back of your frame, crease the excess, align the trimmer with the edge of the frame, and draw the tool down each side. The result will be a precise trim in just seconds. 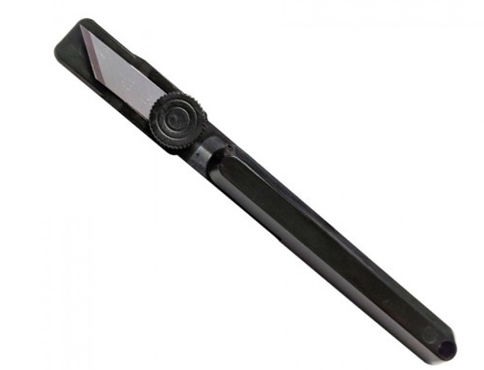 We also include five blades and further blades can be purchased here. Best of all? The trimmer is reversible, making it perfect for right and left-handed framers. Have framing questions? Our framing experts are just a call away.